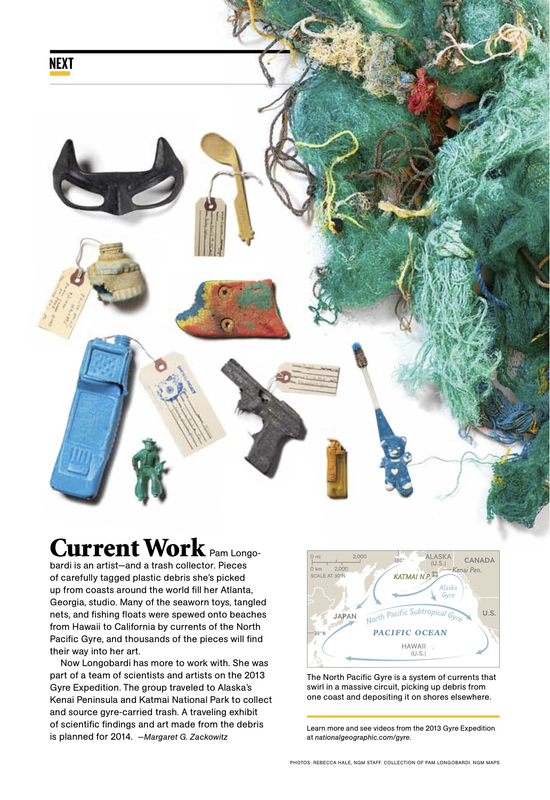 The GYRE Expedition, a project I have been working on with the Anchorage Museum and Alaska Sea Life Center for four years, was an amazing success. 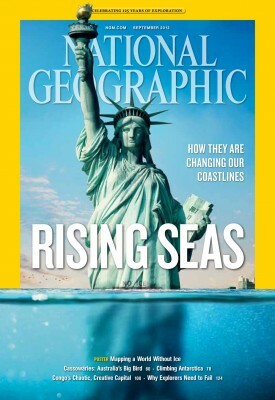 National Geographic producer JJ Kelly and Josh Thomas have made a potent and beautiful film that is a Nat Geo feature video and profiled in the magazine. Drifters Project is featured in a section called ‘NEXT.’ My family subscribed to Nat Geo all during my childhood, and my first ‘serious’ art experiences involved drawing pictures of the amazing animals, people and faraway places that NG brought to my home…to see my name in the magazine is beyond words~ The entire issue is a work of art, thoughtful, beautiful and finely composed: it calls the alarm of ocean changes, reveals the incredible artists of Kinshasa, the amazing male incubating cassowary bird and has a section highlighting women explorers.